Feel free to copy, print, and distribute the image below. It makes a great postcard. 1. Add any visual or written information you desire into the empty frame. 2. 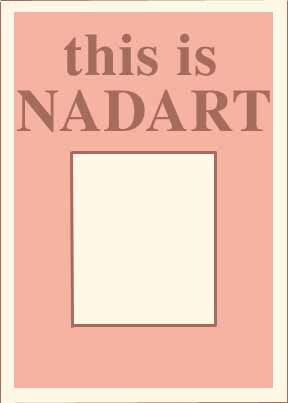 Whatever you put there is at once NADART!